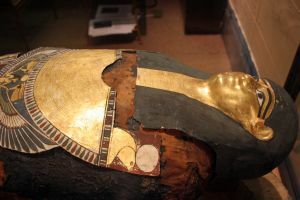 Explore some gems from Swansea Museum’s huge collection, which encompasses everything from Hor the Egyptian Mummy to some of the world’s earliest photographs. Very soon you’ll be able to search through the entire collection online – we’re working hard to enable this to happen, so keep checking back. Art UK was launched in 2016 as a successor to Your Paintings. Art UK (a registered charity) is a joint initiative between the BBC and other organisations and participating collections and museums from across the UK. It aims to show the entire UK national collection of oil paintings, the stories behind the paintings, and where to see them. Find out more about Art UK. Swansea Museum is home to Hor the Mummy, who was gifted to Swansea Museum in 1888, and the Ibis Amulet, a representation of the God Thoth. Discover more about Swansea Museum’s Egyptian Artifacts. Swansea Museum’s collection contains many vehicles and boats, including floating exhibits and items in the Landore Museum Stores. 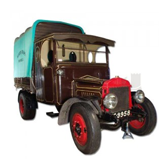 Discover more about Swansea Museum’s Transport collection. Swansea Museum’s collection contains many nautical objects including a painted feather christmas card and Armillary Sphere. 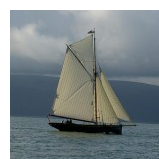 Discover more about Nautical Objects in Swansea Museum. Swansea Museum holds many interesting objects that were discovered in South Wales. 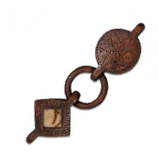 The varied items include The Gnoll Stone, Roman Bone Comb, The Gilbert Ewer and many more. Discover more about finds from around Swansea and Neath. The museum contains many objects that bring to life the hardships of wartime Swansea. 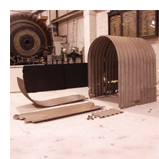 Discover more about Swansea Museum’s Wartime collection.